You are not logged in. 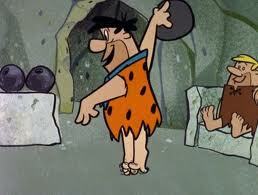 [Log In] BowlingFans.com Home » Forums » Amateur Bowling » Leagues & Sport Bowling » Pattern question? #189857 - 01/09/15 05:13 PM Pattern question? My guess is the "roller" is in reference to the oil applicator on certain lane machines. Different machines put down oil in different ways, which can effect how the pattern plays. But, its still the USBC White (a house shot) so it really won't make much of a difference. It will be easy either way.